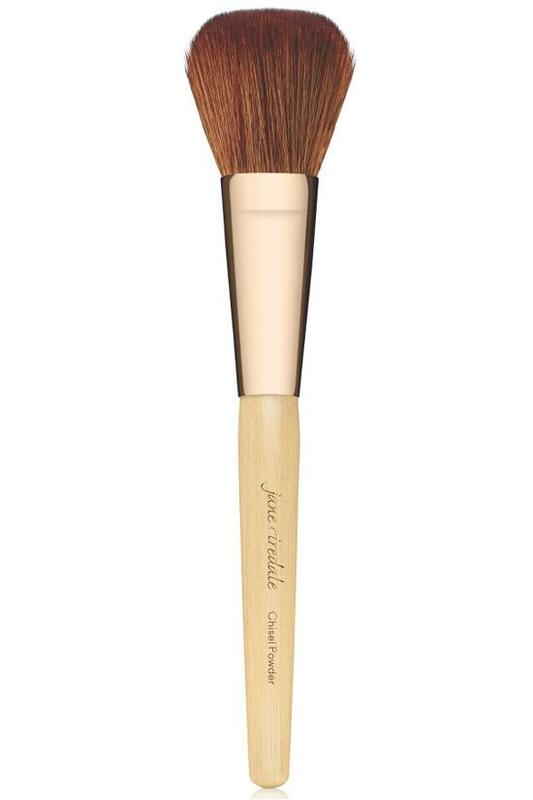 The Chisel Powder Brush with long, full medium-density bristles applies Amazing Base and Purepressed Blush like no other brush. Best used with our loose powders. Pick up a small amount of Amazing Base and use the lid to work the powder into the brush. Begin by applying to the area of the face that needs the most coverage. Layer. Dont try to cover everything at once.